King of War Arcade game Design. Created cabinet design, decals and all logos. 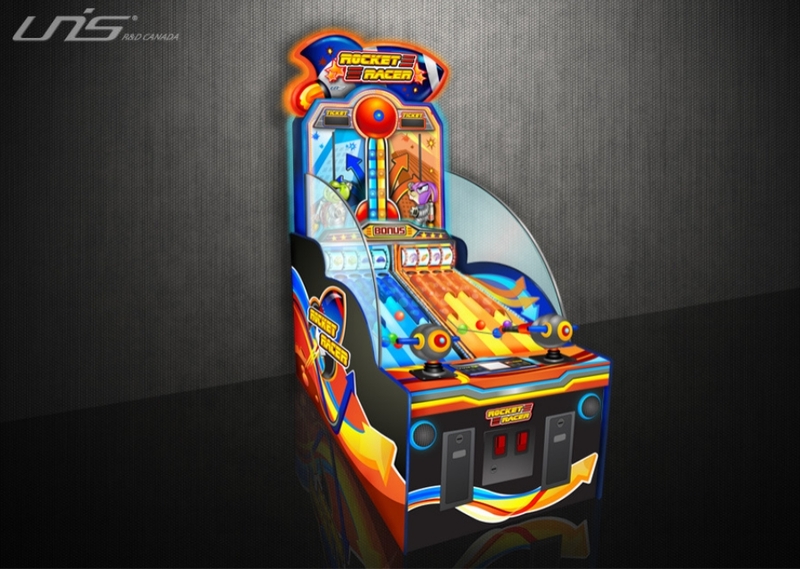 Iron Heart Arcade game: Created design of overall cabinet, lighting, decals, stickers and logos. Hammer Froggie Game: Whack-a-mole game redesigned to suit clientele's needs. Designed the look of cabinet, all logos and stickers. Cheeky Monkey Basketball game designed for children from 5-12. Created all characters and logos. Rocket Racer: Game still in production. Designed the overall cabinet look.